It’s something the human race has been doing for aeons, and it surely helped to develop human speech patterns and increase our intelligence. 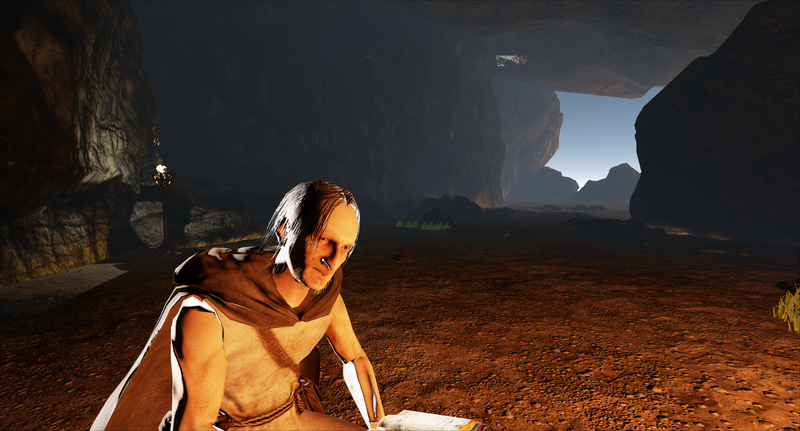 Storyteller: Fireside Tales, is a unique demo for the Oculus Rift, that attempts to recreate the experience of sitting around a fire listening to stories. It does this by loading audio book files, then playing them through an animated hermit who sits and reads from a book. 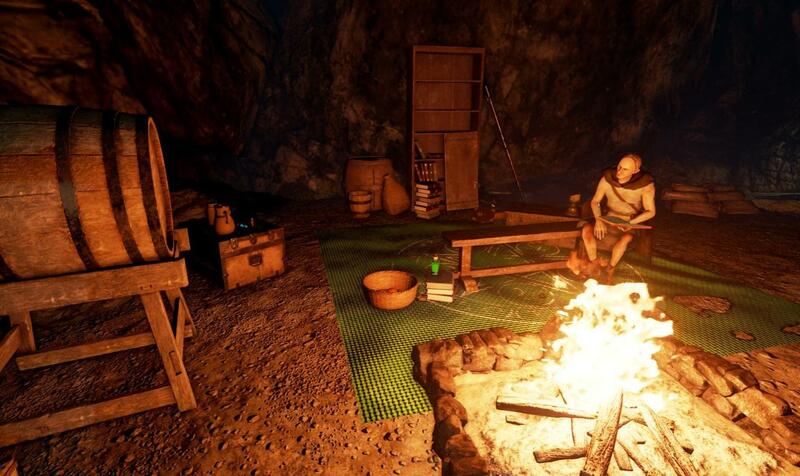 You’ll find yourself sitting on a wooden bench in a vast cave that’s only lit by the camp fire. Water drips down the cave walls, a few patches of grass manage to grow through the dirt, and off in the distance you can see outside where birds occasionally fly past a dusk sky. There’s a nice sense of place, and the scale feel realistic. Shortly after sitting back and listening the audio book, you’ll find yourself completely immersed in this primeval world.